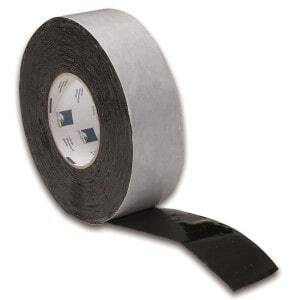 Double sided butyl rubber tape from Pro Clima. For external use. Nail sealing tape on the underside of a lath on inclined roofs to form a durable seal around nail or screw holes. Very good sealing action – penetrates deep into the structure. Material/s Non-ageing, bitumen free butyl rubber.